The presence of a loving father in the home directly contributes to child well-being. Likewise, the absence of fathers in our society is linked to several negative consequences like educational failure, poverty, incarceration, and child abuse. According to the National Fatherhood Initiative, the statistics tell a story of the importance of Fathers. How important are fathers to the well-being of children. A review of the statistics posted at www.fatherhood.org reveal a stark contrast between children who are raised in a home where the father is present and those who are raised without a father. Education: fatherless children are twice as likely to drop out of school while children with fathers actively involved in their education have a higher likelihood of achieving grades that are well above the average. Poverty: Children in father-absent homes are five times more likely to be poor. In 2002, 7.8 percent of children in married-couple families were living in poverty, compared to 38.4 percent of children in female-householder families. Incarceration: Even after controlling for income, youth in father-absent households still had significantly higher odds of spending time in jail than those in mother-father families. Youths who never had a father in the household experienced the highest odds of doing jail time. Child Abuse: An analysis of child abuse cases in a nationally representative sample of 42 U.S counties found that children from single-parent families are more likely to be victims of physical and sexual abuse than children who live with both biological parents. 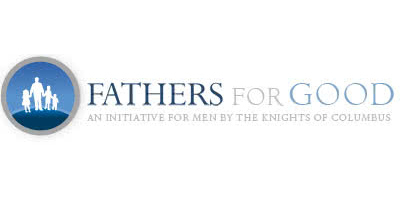 To combat these statistics and ensure that children receive the loving care as was intended for them at their conception, the Knights of Columbus have a campaign to raise the awareness of the need for fathers in families and provide tools for aiding men to be better parents. A Father is … a work in progress. Indeed, a dad’s work is never done – in what he can learn from his family and what he can teach his children, in the sacrifices he can make and the rich rewards he can be given, in the love he can live out and also receive. A Father is … called by God the Father. This is the vocation that is the foundation of fatherhood. Of course, no earthly father will be like “our Father who art in heaven,” but God does give certain graces to fathers who seek him out and follow his way. A Father is … an ordinary man who is called and equipped to do extraordinary things from day to day – work, provide, protect, pray, get involved with his family and be there as an example for his children and faithful to his wife. On their website you can browse a variety of articles and formats from nationally renowned professionals and apologists on both the moral and practical applications for being a more involved father in your child’s life. We are greatly in need of fathers. This is not an indictment of all fathers, but it does serve as a clarion for witness to others that we know where a father may not be involved much in the lives of their children. So please encourage the men in your life to visit this valuable resource.